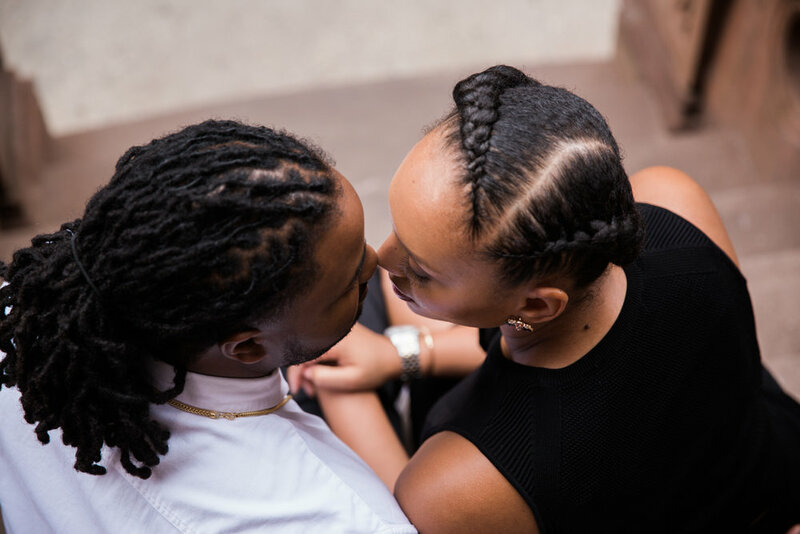 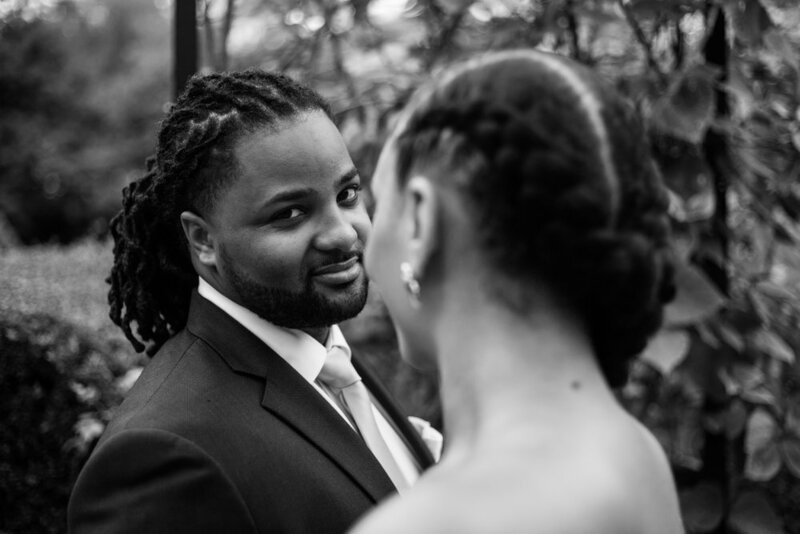 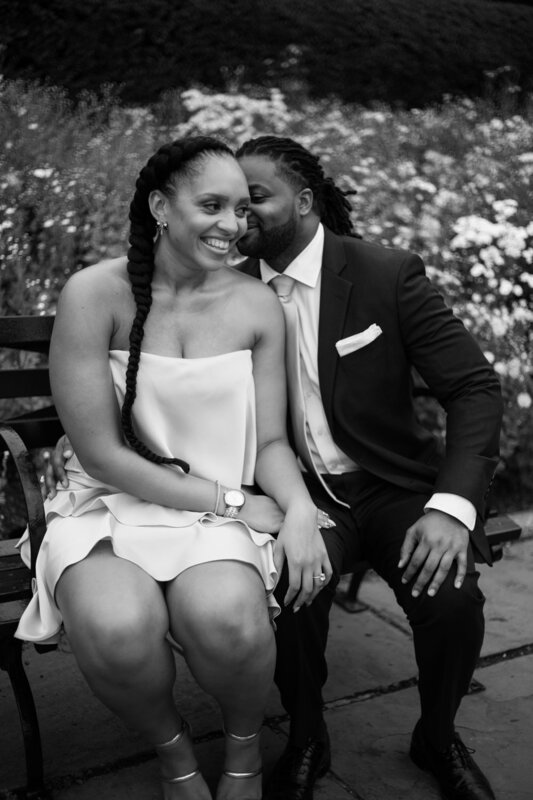 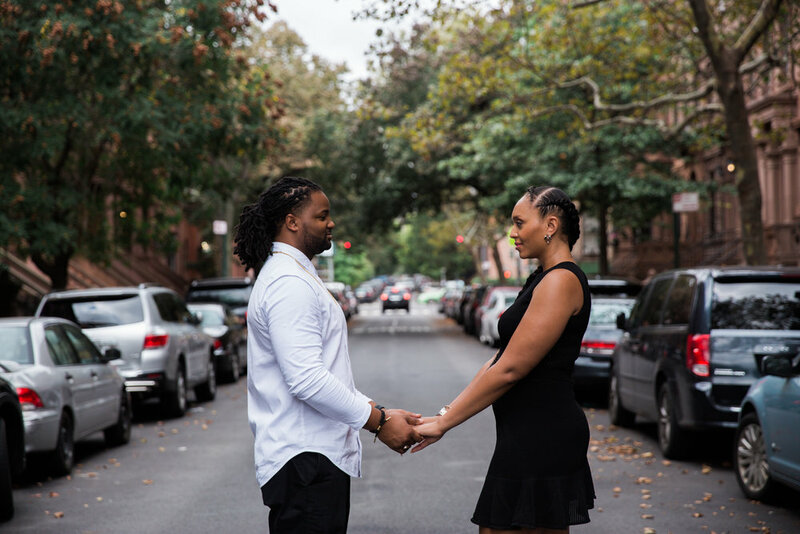 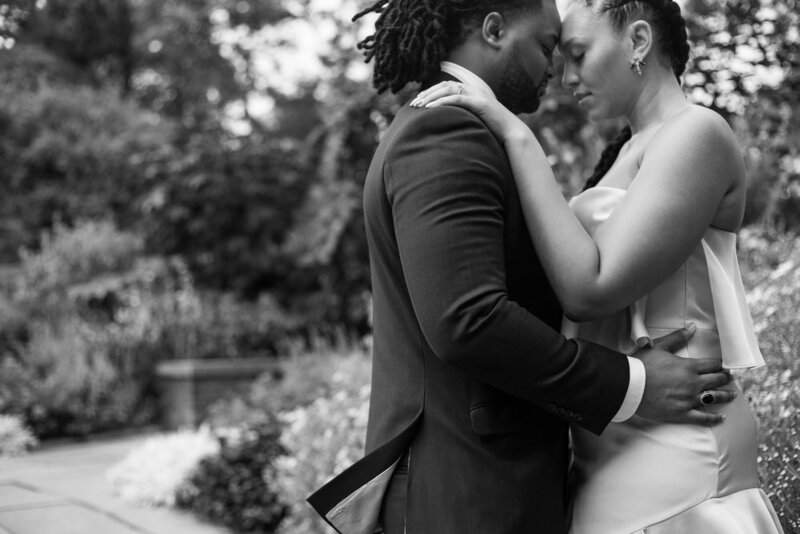 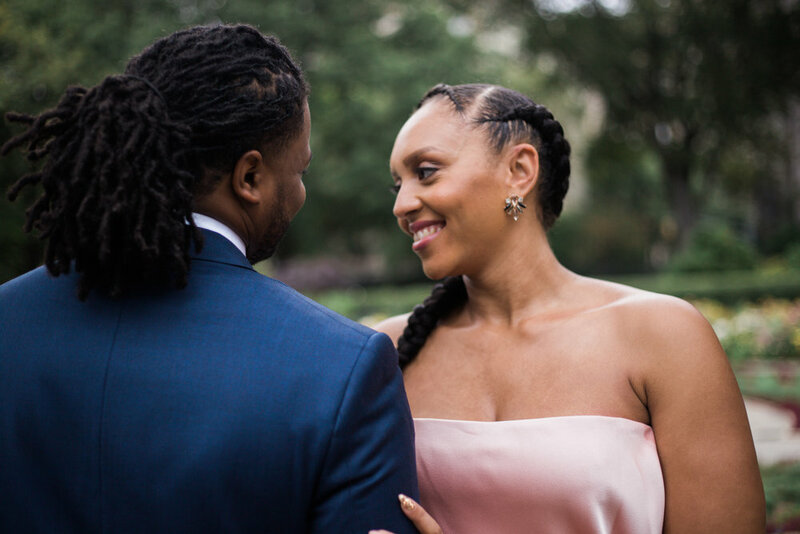 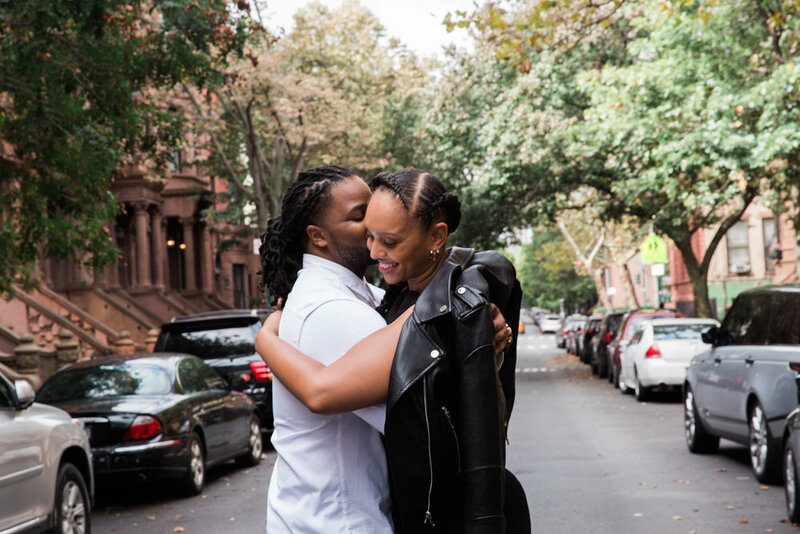 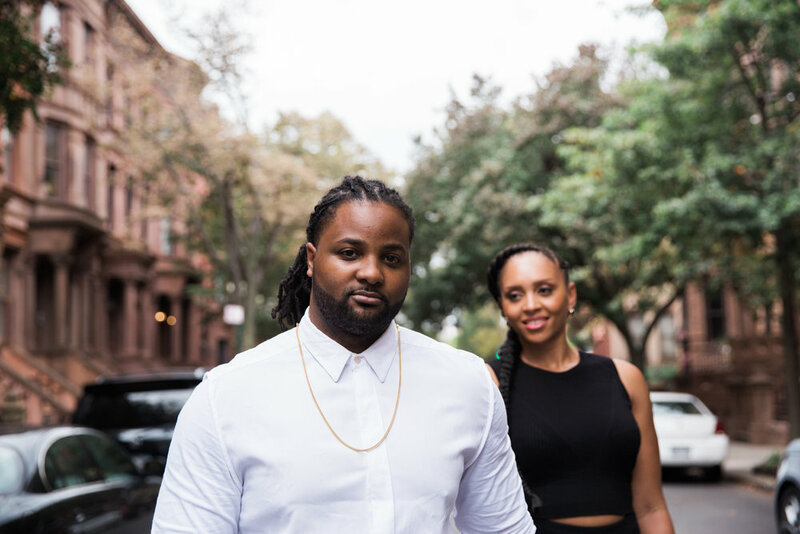 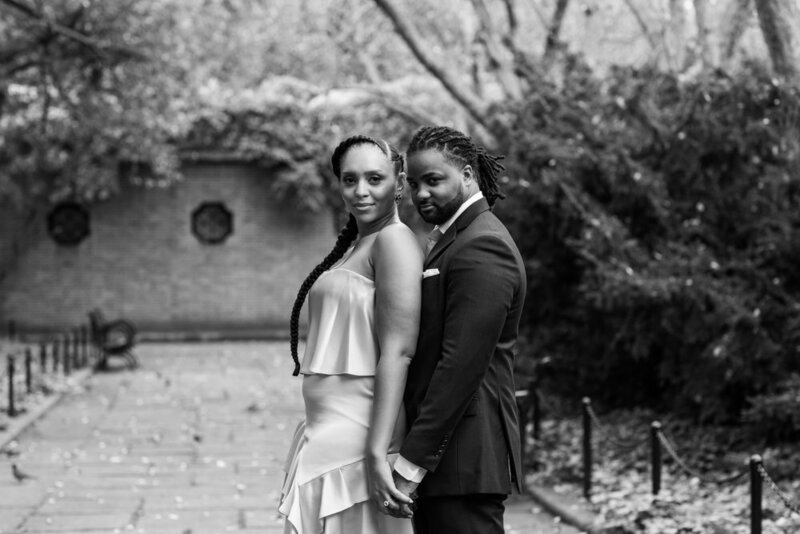 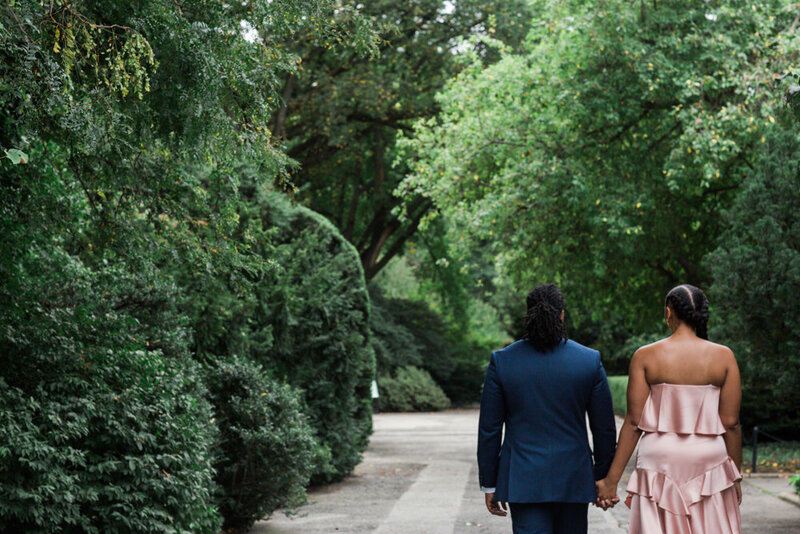 In the most populated city in America, Jasmine and Adrian found each other. 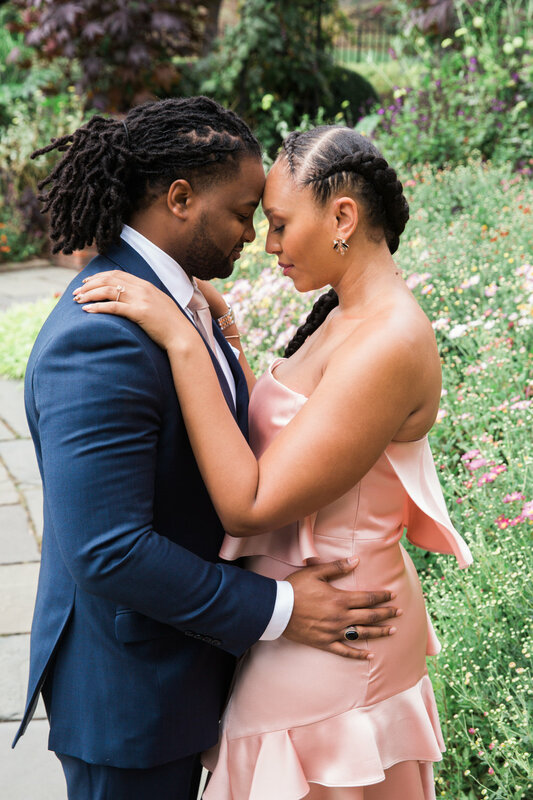 They met in 2010 through a mutual friend and are saying their vows in 2018 in front of all of their closest friends and family. 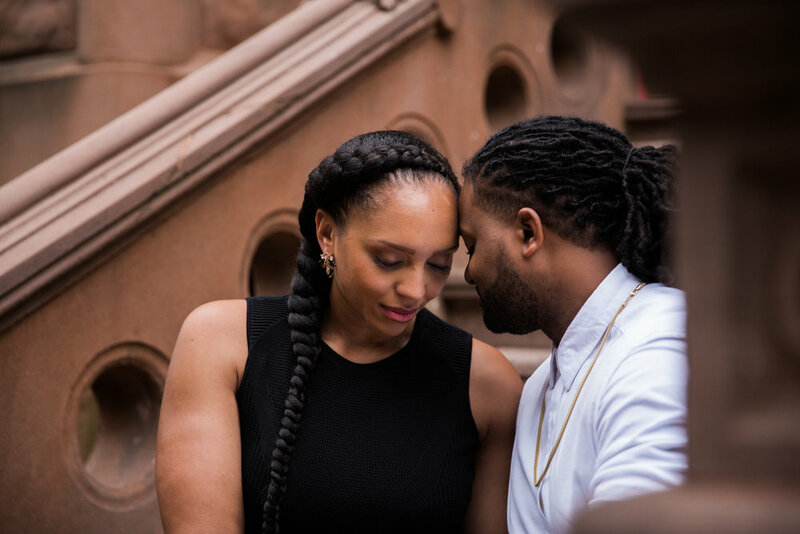 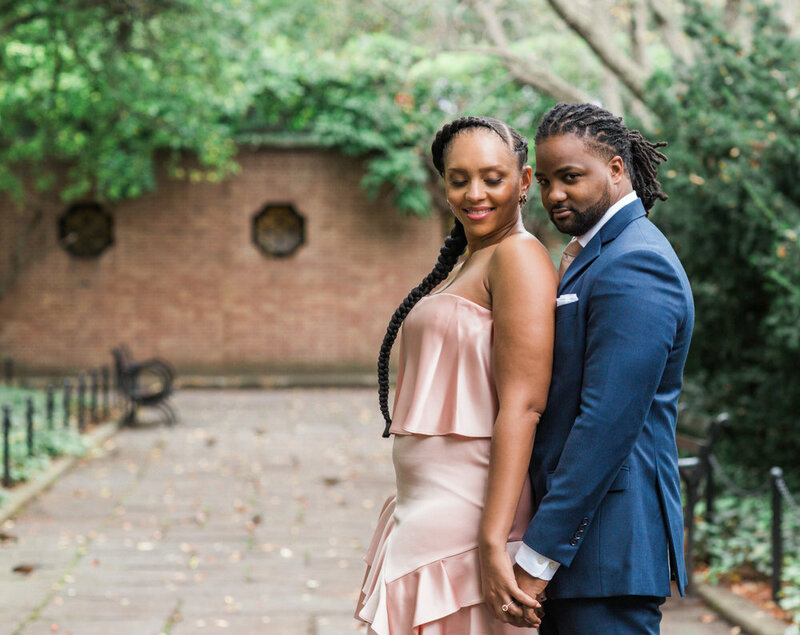 They fell in love in New York City and deemed it only appropriate to have their engagement session in two unique locations within the city. 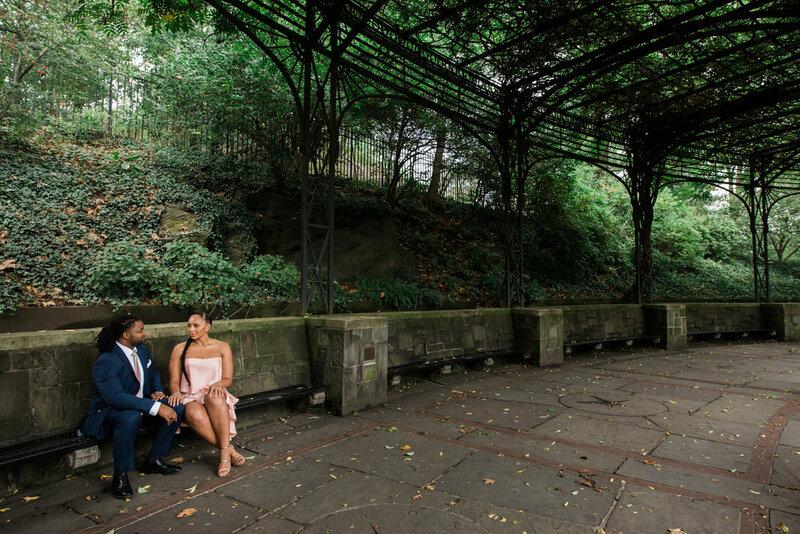 We started in North Central Park and viewed the gorgeous blossoms around the Untermyer Fountain. 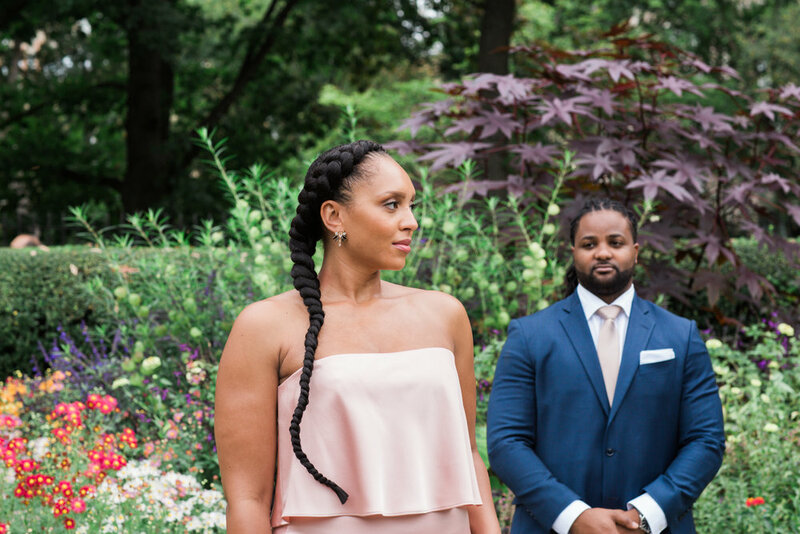 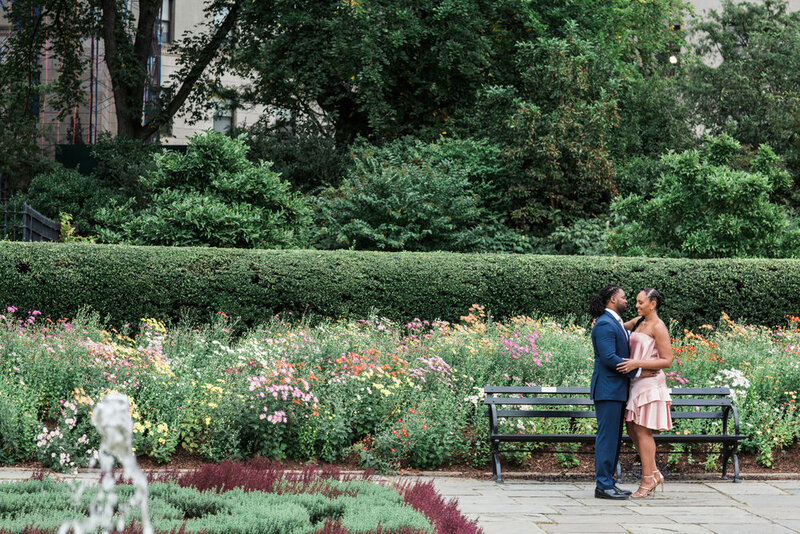 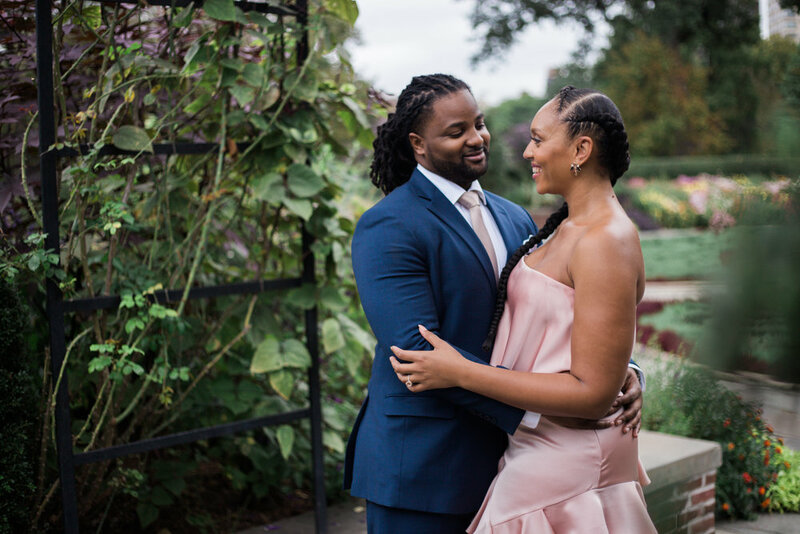 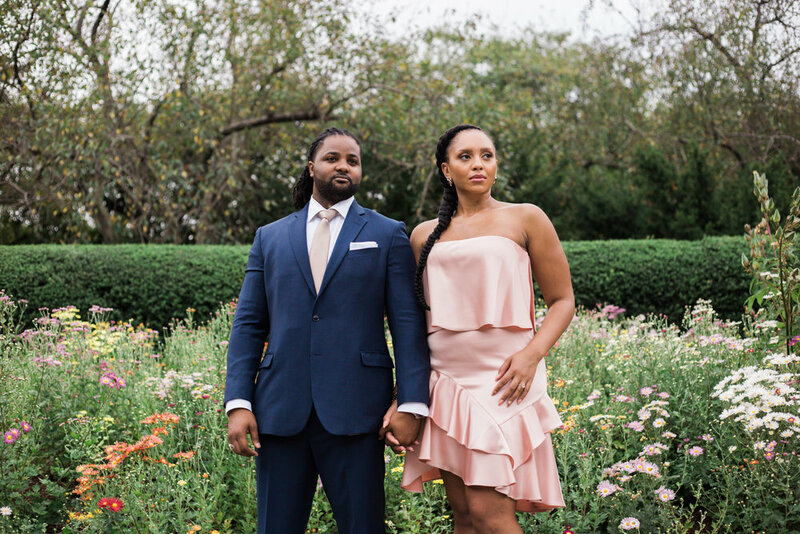 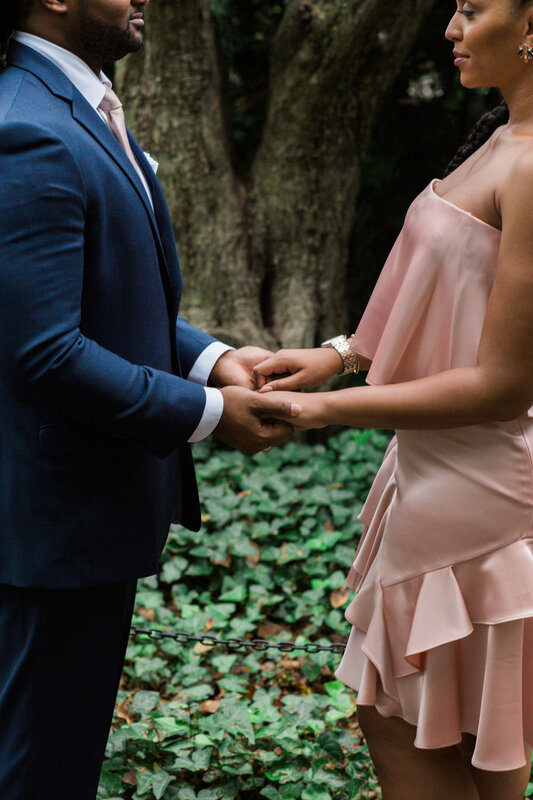 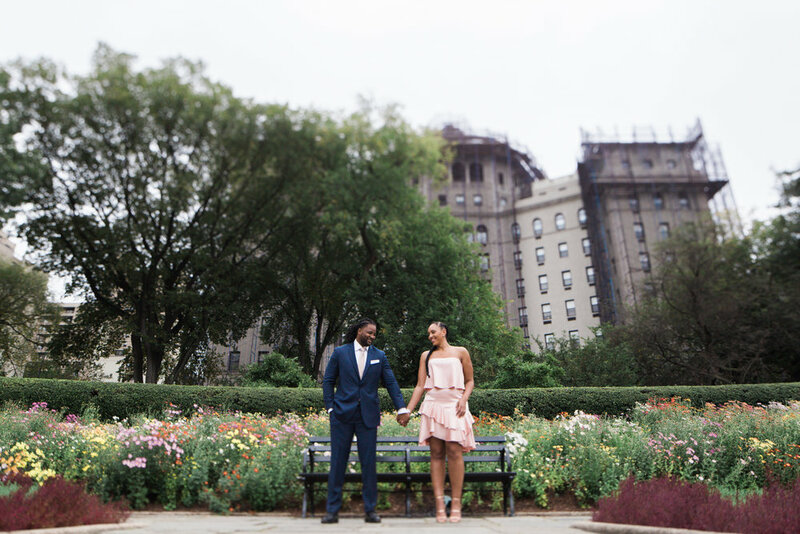 This beautiful Conservatory Garden is the perfect floral hideaway from the urban jungle just a few feet away and made a perfect location for this couples first place to shoot. 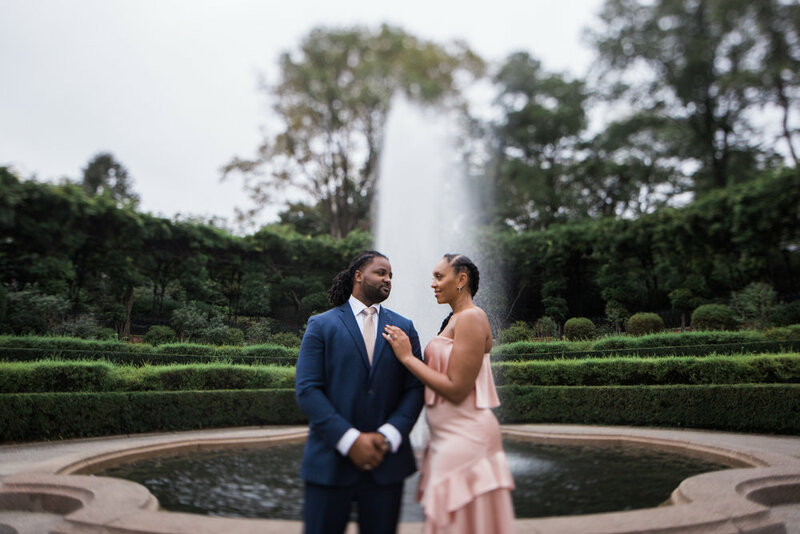 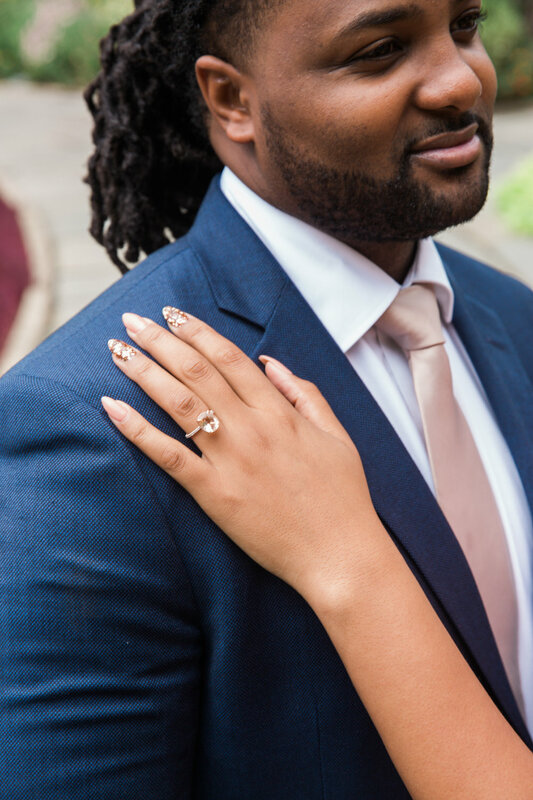 For their second look, Jasmine slipped into a chic black dress while Adrian adorned himself with a gold chain over a crisp white button-up shirt. 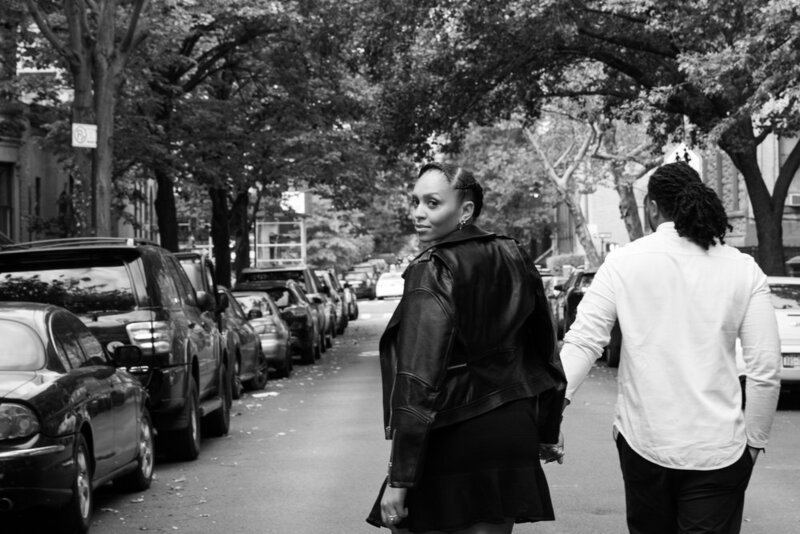 They took us to an iconic block in Brooklyn (one you may recognize from a few movies). 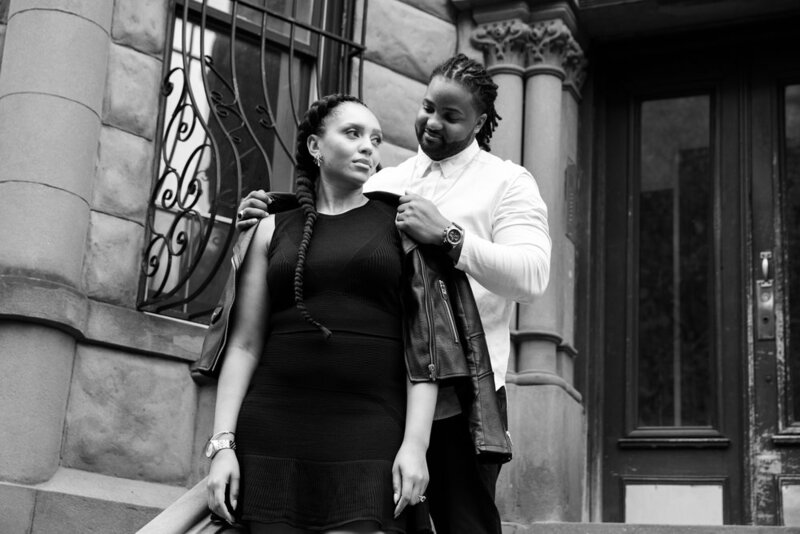 This uptown chic look screamed BOSS but their demeanor towards each other speaks nothing but LOVE.